"The Potash Farm Rhubarb and Ginger Chutney with Kentish Cobnuts. Rich with fruit and slightly crunchy from the Cobnuts. Unlike any chutney I've had." This luxury handmade connoisseur's choice conserve is made with the finest of ingredients and is a real treat to have on a lazy Sunday morning. A gift bag selection of our specialist sauces. This sauce is an excellent colour and can be served either hot or cold with turkey, chicken, duck, pheasant or partridge. It is also very good in sandwiches or with Camembert and Brie. The simple combination of zesty lime, light soy sauce, ginger and garlic form the basis of this clean fresh flavoured sauce. This luxury handmade marmalade is made with the finest of ingredients and is a real treat to have with croissants or toast. It makes an ideal gift for Valentines Day, Mothering Sunday, Easter or at Christmas. 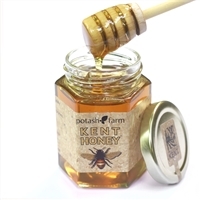 This award-winning Kentish Lavender Jelly is exceptional and it is being marketed by Potash Farm. It has a unique Kentish Lavender flavour and is an ideal accompaniment to cheeses, cold meats, turkey, game and duck. It can also be enjoyed with roast lamb or just eaten on toast. This attractive gift bag includes one jar of each of the Handmade Spicy Onion Marmalade with Port and Kentish Cobnuts, Handmade Spicy Apple Chutney with Ale and Kentish Cobnuts and the Handmade Blackberry and Handmade Award-winning Kentish Lavender Jelly. Attractively presented in this fine display bag it again makes an ideal gift for Valentines Day, Mothering Sunday, Easter or at Christmas. The Gift Bag is modestly priced at £19.50. This is made with the finest ingredients and is especially good with all cold meats and cheeses. "The Potash Farm Rhubarb and Ginger Chutney with Kentish Cobnuts. Rich with fruit and slightly crunchy from the Cobnuts. Unlike any chutney I've had." Featured in the Telegraph Magazine. 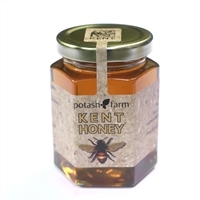 This fine local Kent honey has been combined with our delicious Potash Farm Kentish Cobnuts. 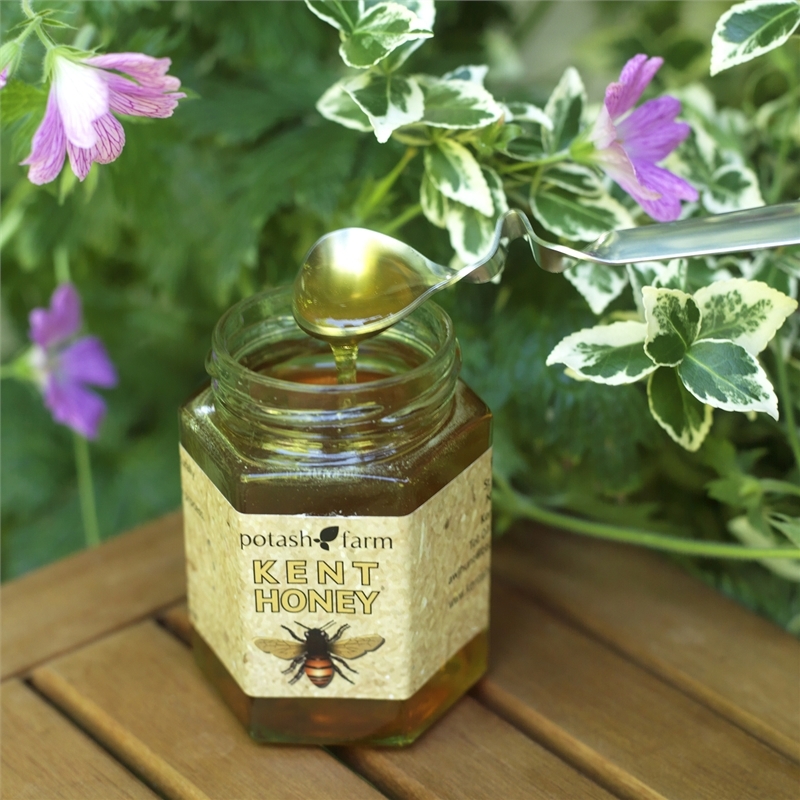 This natural golden treat is an excellent addition to any breakfast or afternoon tea, pancakes, or even drizzled over rich diary ice cream. Morocan Influenced sauce infused with many spices including cumin, coriander and mint.